The enemy of salmon are the obstacles that obstruct the rivers of their birth. 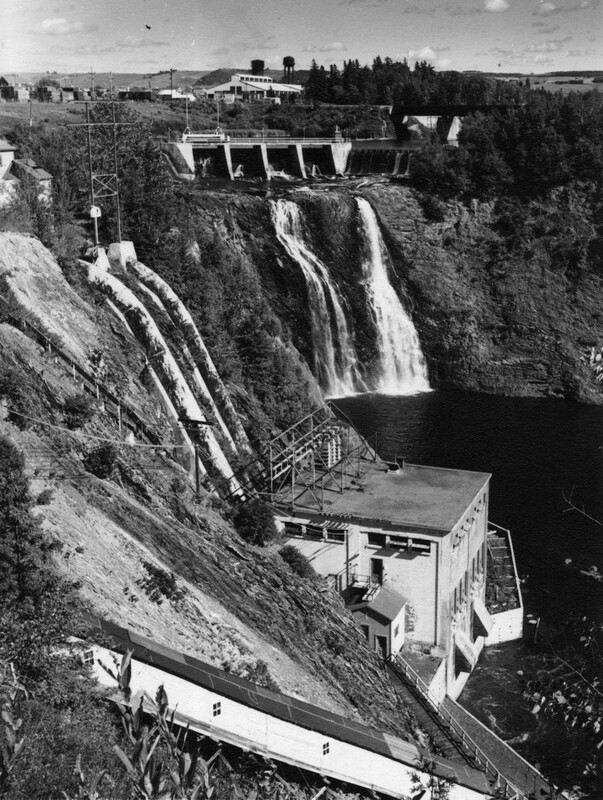 Hydroelectric dams were built on the rivers of Québec in the late 19th and early 20th centuries. Little thought was given to the salmon (or other species of fish or wildlife). Economic development was paramount. Providing electricity to the farms and industries along the St. Lawrence valley was an economic imperative. The Metis River was one of the few rivers in eastern Quebec with sufficient flow and height of land to provide the right conditions for producing electricity. Jules Brillant created the Lower St. Lawrence Power Company and built a dam and generating station. The first dam on the river was above the falls and had little impact on the salmon. Elsie Reford obliged the power company to respect strict environmental controls: a minimum flow on the river and an assurance that no debris or pollution would damage the salmon habitat. 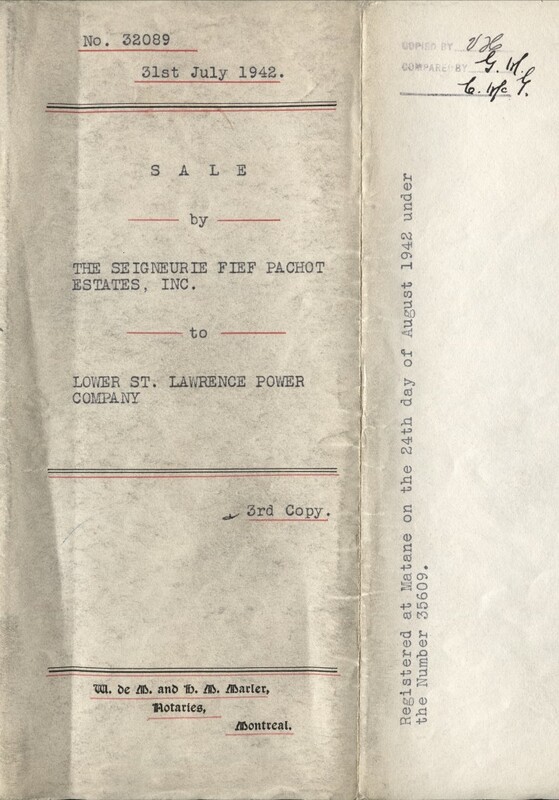 Robert W. Reford’s fishing book chronicles his success and that of his sons and guests fishing on the Metis River. The last entry is July 13th 1942, the last day of fishing on the river before it was sold for hydroelectric development. The second dam, completed in 1947, put an end to the salmon run. The 68-foot wall was sufficient to impede the passage of the salmon to their spawning grounds. It was not until the creation of Hydro-Québec in the 1960s that efforts were made to capture the returning salmon and introduce them to the upper reaches of the river.